Food is important to me. I think everyone who knows me can vouch for that. I don’t know if people can be categorized into those that eat to live and those that live to eat, but I would probably belong to the latter group. I take great pleasure in a well-prepared meal, and sharing food or drinks with family and friends is essential to me. When my father spent two weeks in the hospital, he was given surprisingly good food. We couldn’t really share meals with him though. And I hated that. Being able to prepare and share food together is part of being a family for me. While my father was on his cancer medication (Afinitor) he also lost his appetite. He didn’t get sick, but he got bad mouth sores and “everything tasted like cardboard”. It made meals more of a painful experience, where we were all carefully monitoring him to make sure that he was eating enough. Now, he’s back home from the hospital and off the Afinitor (as it caused pneumonitis) and his appetite is back. He’s trapped upstairs though with his hospital bed, favourite chair and oxygen and we’ve always had our meals downstairs… so these days, we’ve taken in a fold-out table and some chairs that we keep in the hall, and for breakfast, lunch, dinner we set them up and share our meal. 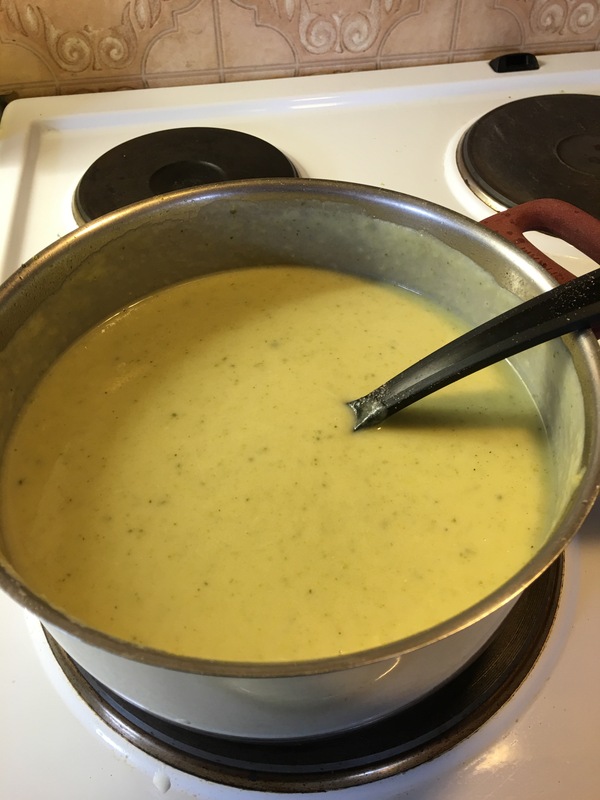 Yesterday I made a potato gratin with ham, and today we’re having broccoli soup. To me, preparing these meals for us is my way of expressing love and support and it’s equally important as keeping track of doctors appointments, insulin levels and complex medication schedules.